World Champion Farrier Jim Blurton is head of multi-farrier practise Forden Farriers in addition to successfully manufacturing his own range of tools and specialist shoes. Last year he was Head Farrier at the London 2012 Olympics. A highly respected farrier, businessman and clinician Jim answers our second ‘Farrier Focus’…. Jim’s Father was a farrier and Jim found himself “pushed in the right direction”. As Mr Blurton Senior suffered from bad health Jim was encouraged to help him whilst in his last few years at school. Jim soon realised that there was an opportunity to develop a decent business as there appeared to be plenty of work. Jim’s Father and Dave Duckett; at the time Dave had the shoeing round ‘next door’ and Jim watched Dave compete regularly. Jim was once brought a pony to be shod at the forge – in the back of a car! When the gentleman got the pony out he was found to have feet measuring just 35mm across, needless to say shoes were not fitted on this occasion! Some 30 to 40 years ago Jim went to shoe a horse with his Father. “The client was a ‘traveller’ and had a rather large money belt. Before the work began it was agreed that the horse would be shod for £20.” When the job was completed the Traveller said he wanted to pay £15 and passed the money over to Jim’s Father. Mr Blurton Senior agreed but instructed Jim to remove the shoe on the off fore. The shoe was removed, (£15 worth of work was left behind), and they left. Needless to say there were not invited back again! A close second, being Head Farrier at the London 2012 Olympics. When his Father died; Jim lost his mentor – the one person he could turn to and discuss any shoeing dilemma. Jim feels that only the best, most professional will make a decent living – “be professional”. Jim also cites the quality of workmanship and customer service being particularly important. Jim would like to further improve the quality of products they produce and ensure that their service to their clients is second to none; increasing the footprint within the market place. Would rather “be a leader than a follower”. Jim “gets a buzz” from competing but also cites camaraderie as being particularly important. To Jim competitions are a “still improving exercise, after all it is how it all started”. Competing provides an “education of the market you are in…you pick up new skills” furthermore, Jim feels it is an essential experience for apprentices. Without farriery competitions Jim feels that he wouldn’t be at the level he is at and “probably the best ATFs are from a competitive background”. “The present system of training (in the UK) is unsustainable….there appears to be no awareness of the demands of the industry”. Jim would like to see improvement in the quality of ATFs and feels that all ATFs should be proven to have the “ability to teach”. He does however feel that the system will “sort itself out” and that “farriers should be left in charge of supply and demand”. 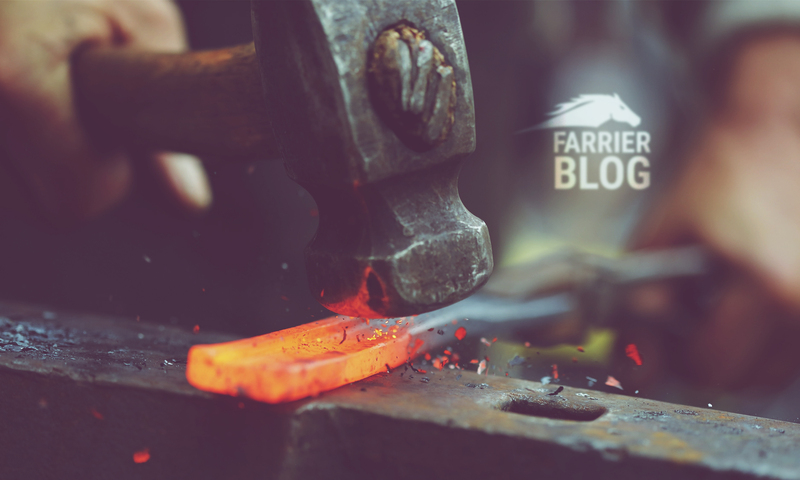 “The number of farriers being trained……….pricing………….not enough emphasis for apprentices or newly qualifieds on how to run a business”. Jim believes apprentices should be given a better insight into the “pricing of a job” and that many do not have enough business acumen. “Shooting, fishing and walking (where there is no phone reception)”! In shoeing horses “keep it simple”. quero receber a revista no brasil.